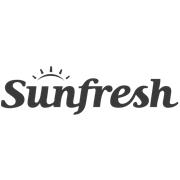 Take the strain and pain out of doing the laundry with Sunfresh's portable laundry trolley. 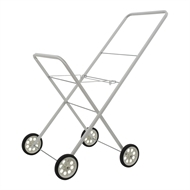 This trolley offers support for most types of laundry baskets and elevates wash loads to an easily accessible height, while loading and unloading the washing machine or hanging the washing out on the clothesline. Suitable for residential and commercial use, Morgan's trolley is collapsible, folding away for neat storage when it's not being used. Constructed from a solid steel frame with attached wheels, this trolley is lightweight and portable, making it the perfect laundry companion for any home.